Save AED 90 (75%) – Earn 3 Shukrans What is Shukran? Shukran is the Landmark Group’s award-winning loyalty programme in the Middle East, which allows you to earn Shukrans when you shop any of our brands. Garner attention of the passersby by walking down the street wearing this trendy jacket. 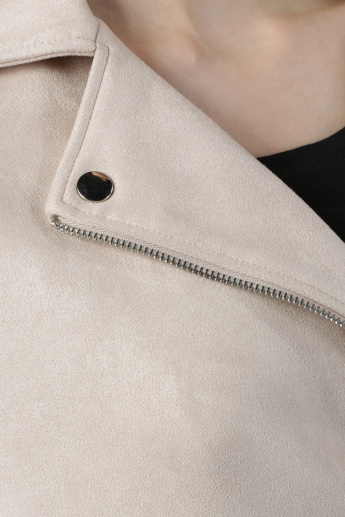 The notch collar of this jacket is decorated with alluring studs to enhance its modish appeal and the look polished off with a zip closure for added convenience.